Throughout the 1980s and 1990s, I used real-time hand notation to record performance in international rugby union games. In the 1980s I used live BBC television broadcasts, in the 1990s I had the good fortune to attend many of the games as a notational analyst. One of my interests in that period (after playing rugby at Loughborough College, London Welsh and Rosslyn Park) was to provide some evidence about game content and game time, particularly ball in play time, in order to support the coaching of expansive rugby. I was interested specifically in kicking, passing, set piece play and stoppages for injury as indicators of the flow of activity in games. The most comprehensive set of data I have from that period is the competition between England and Wales 1987 to 1992 inclusive. The odd year games were played in Cardiff and the even year games at Twickenham. 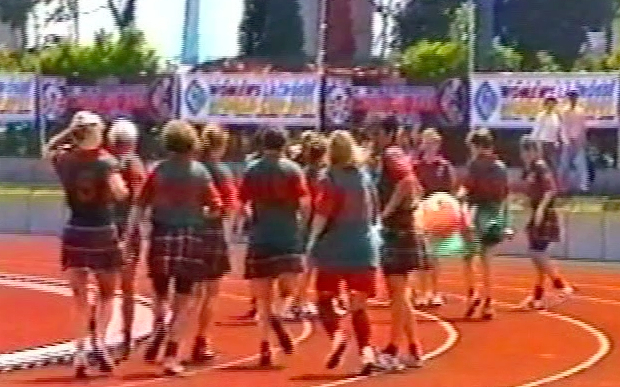 Wales won the games in 1987, 1988 and 1989. England won in 1990, 1991 and 1992. Three of the games were affected by rain (1987, 1989, 1992) and there were strong winds in the 1990 game. For the ball in play time I started my stopwatch at the kick off and stopped it on the referree’s whistle or when the ball had clearly left the field of play. I recorded time in minutes (m) and seconds (s). A Pdf copy of the notation ACEW. The data presented here are from real-time hand notation. I had been doing hand notation in rugby union since 1980 and by the mid-1980s had established a stable set of game events to notate on a single sheet of landscape A4 paper.I used one sheet per half of the game. The example shared here from 1992 is a transcription of two halves onto one summary sheet. I made a separate record of activity cycles and they are transcribed onto a single sheet here too. In all games I had two stop watches running, one for total game time and the second for ball in play. I was very keen to identify those teams that played rugby handball more than rugby football. I was mindful of the literature on systematic observation in educational studies and physical education and sport. I was a trained observer and was confident that my observations were valid and reliable. My aim was to provide real-time information to coaches if required. In 1987, the ball was in play for less than 21% of the total game time. Given the relatively small number of game events I was monitoring there was ample time to record events. I was very aware that using a temporal measure required close attention to accuracy in starting and stopping the stopwatch. I was aware of the potential of mathematical error of using stopwatches. I used new batteries for each game recorded and prior to all games compared the performance of watches. Throughout my real-time notation I was conscious of observer drift. No game lasted longer than ninety minutes and no half of a game was longer than 48 minutes. I used breaks in play and half time to refocus my attention. Real-time hand notation does require concentration and as a trained observer I felt comfortable with the cognitive load of the activity. I had clear operational definitions for all items to be notated and had made a very conscious decision not to try to capture granular details in real-time. With improvements in video technology in the late 1980s and 1990s I was able to undertake detailed lapsed-time analysis of performance for research purposes. This post presents some of the data I captured in real-time twenty years ago. My overall aim was to develop a notation system that might offer decision support to coaches within games and subsequent opportunities to reflect on performance. During the period discussed here I immersed myself in the literature on observation. I was fortunate that at that time I was researching and writing Using Video in Sport (1988. Huddersfield: National Coaching Foundation) and completing a PhD that used ethnographic methods to record observations. There is a story within a story here. By coincidence the data presented chart the rise of the England rugby team. In 1987 Wales defeated England in the 3rd/4th play off game at the inaugural World Cup. In 1991, England won in Cardiff for the first time since 1963 (there had been a draw in 1983) and at the end of the year contested the World Cup final against Australia at Twickenham. Categories: Performance Analysis | Tags: Ball in Play, England, Real-Time Hand Notation, Rugby Union, UCNISS, Wales, Walt Jabsco | Permalink. We are moving house next week and I have been going through some of my old VHS tapes. To my great delight I found a copy of a visit I made to two townships during the 1995 Rugby World Cup. My interest in sport in South Africa was kindled by research for an undergraduate research project at the University of York in 1973 supervised by Adrian Leftwich. I became involved in the anti-apartheid movement and met Sam Ramsamy. I hoped to go to coach in South Africa in 1977 but was not able to do so. I was involved in Sam’s United Nations work in 1978 and attended meetings with Peter Hain. 1995 was my first opportunity to visit South Africa, twenty-two years after I had worked my way through the papers of the Capricorn African Society and corresponded with Dennis Brutus. 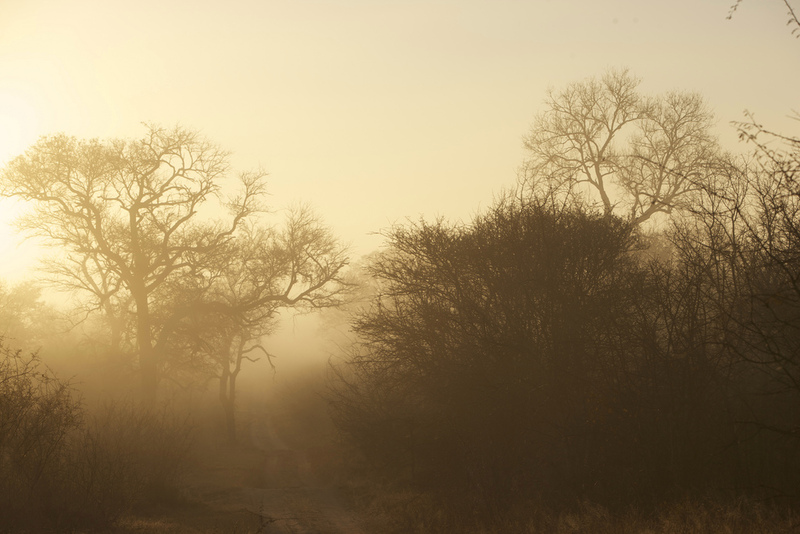 I travelled to South Africa as a member of the management team of the Welsh Rugby Union. We were based in Bloemfontein and Johannesburg. During our stays there we had the opportunity to run coaching clinics. I was fortunate to go as a videographer. My aim was to film every participant in the clinics. I did produce a video for each coaching clinic. I used an SVHS camera and the copy I discovered was a second generation copy on VHS. The first is from Bloemfontein and as you watch it you might have in your head the Circle of Life music from the Lion King. How far is it from? I still find these images indescribable. I felt immensely privileged to be there for these coaching clinics and took away with me a sense of play that had everything to do with personal flourishing and very little to do with facilities. I am really pleased I found them. Categories: Sport, Video | Tags: 1995 Rugby World Cup, Alberto Zivero, Bloemfontein, Dennis Brutus, Peter Hain, Sam Ramsamy, Soweto, UCNISS, Wales | Permalink. 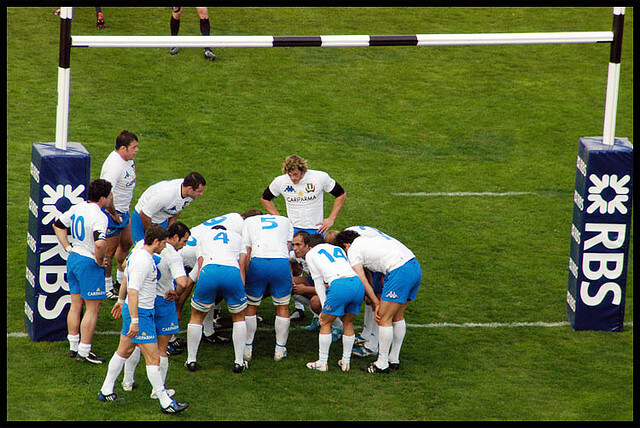 This year’s Rugby Union Six Nations’ Tournament started on 4 February 2012. The official website for the tournament is provided by RBS. The site provides detailed match data and video highlights. Fifteen games have been played in the 2012 Tournament. There have been eight home wins, six away wins and one draw. The higher IRB ranked team has won nine games out of the fifteen games played. Wales (IRB ranking 8) defeated Ireland (IRB Ranking 6). 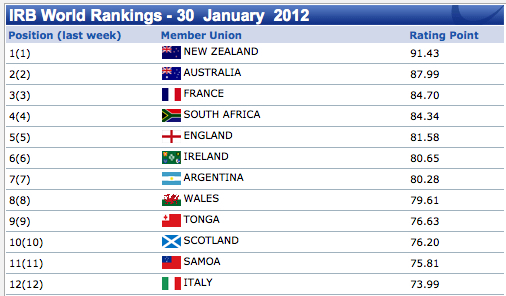 Wales (IRB ranking 8) defeated England (IRB Ranking 5). The team scoring the first converted try has won 11 games out of the 15 games played. Ireland scored the first converted try and lost v Wales. Italy scored the first converted try and lost v England. Scotland scored the first converted try and lost v France. 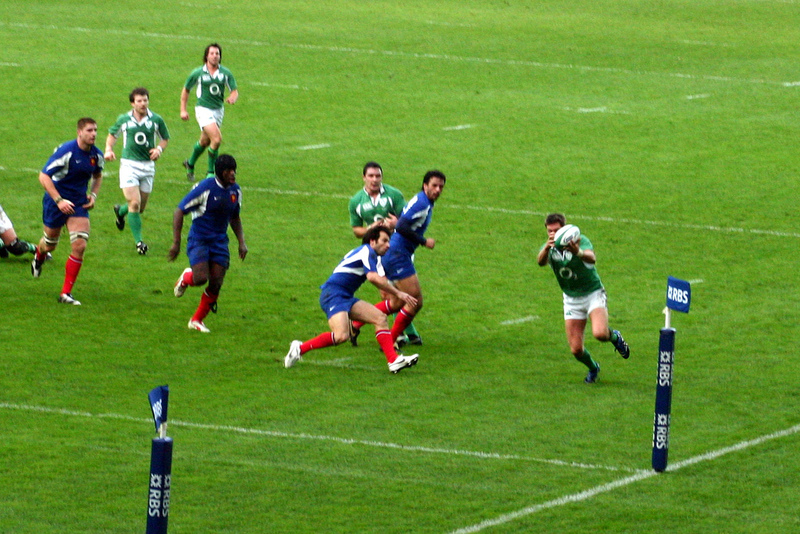 Ireland scored the first converted try and drew with France. The team scoring more tries has won 12 out of the 15 games played. Italy scored two tries to England’s one and lost. Scotland and France scored two tries each in their game. Ireland scored two tries to France’s one and drew. The teams scoring more converted tries has won 11 out of 15 games played. Wales converted 1 of 3 tries against Ireland (1 conversion out of 2 tries). England converted the 1 try they scored against Italy (1 conversion out of 2 tries). Scotland and France scored two converted tries each in their game. Ireland scored two converted tries against France and drew. France (7 penalties and 0 free kicks conceded) defeated Italy (6 penalties and 1 free kick conceded). England (9 penalties and 2 free kicks conceded) defeated Scotland (9 penalties and 1 free kick conceded). Wales (7 penalties and 1 free kick conceded) defeated Ireland (6 penalties and 1 free kick conceded). England (9 penalties and 0 free kicks conceded) defeated Italy (10 penalties and 1 free kick conceded). Wales (13 penalties and 2 free kicks conceded) defeated Scotland (9 penalties and 1 free kick conceded). Wales (12 penalties and 1 free kick conceded) defeated England (13 penalties and 1 free kick conceded). Ireland (11 penalties and 0 free kicks conceded) defeated Italy (12 penalties and 1 free kick conceded). France (5 penalties and 3 free kicks conceded) defeated Scotland (10 penalties and 3 free kicks conceded). Wales (13 penalties and 2 free kicks conceded) defeated Italy (12 penalties and 1 free kick conceded). Ireland (14 penalties and 2 free kicks conceded) defeated Scotland (11 penalties and 0 free kicks conceded). England (11 penalties and 2 free kicks conceded) defeated France (4 penalties and 1 free kick conceded). England (6 penalties and 1 free kick conceded) defeated Ireland (12 penalties and 0 free kicks conceded). Italy (9 penalties and 3 free kicks conceded) defeated Scotland (13 penalties and 1 free kick conceded). Wales (10 penalties and 2 free kicks conceded) defeated France (13 penalties and 1 free kick conceded). The higher IRB ranked team scores the first converted try, is leading at half time and wins (France v Italy, Ireland v Italy, Ireland v Scotland). The higher IRB ranked team does not score the first converted try is drawing at half time, and wins (France v Scotland). The higher IRB ranked team is leading at half time, no tries scored, scores the first converted try of the second half and wins (Wales v Italy, England v Ireland). The higher IRB ranked team is drawing at half time, no tries scored, concedes the only converted try of the second half and loses (Scotland v Italy). The higher IRB ranked team is drawing at half time, no tries scored, scores the first converted try of the second half and wins (Wales v Scotland). The higher IRB ranked team scores the first converted try, is leading at half time and loses (Ireland v Wales). The higher IRB ranked team is leading at half time, no tries scored, conceded the only converted try of the game in the second half and loses (England v Wales). The higher IRB ranked team is losing at half time, no tries are scored in the first half, scores the first (and only) converted try of the second half and wins (England v Scotland). The higher ranked IRB team is losing at half time (the lower ranked team scores the only converted try of the game in the first half) and loses (France v Wales). The higher ranked IRB team is losing at half time (the lower ranked team scores two converted tries in the first half) and draws (France v Ireland). The higher ranked IRB team is losing at half time (the lower ranked team scores two tries (one converted) in the first half) and wins (England v Italy). Categories: Performance Analysis, Sport | Tags: 2012, Bixentro, Ciaran Bohene, England, France, IRB Ranking, Ireland, Italy, Maurizio, Rugby Union, Scotland, Six Nations Tournament, UCNISS, Wales, Winning Performance | Permalink. This year’s Rugby Union Six Nations’ Tournament started on 5 February 2011 and was completed on 19 March 2011. The official website for the tournament is provided by RBS. The site provides detailed match data and video highlights. Fifteen games were played in the 2011 Tournament. There were nine home wins and six away wins. The higher IRB ranked team won ten games and lost five games. The lower IRB ranked team won five games and lost ten games. The team scoring the first converted try won eleven games out of fifteen games played. Ireland scored the first converted try in their game against Italy in the second half (no tries were scored in the first half). England scored the first converted try in their game against Scotland in the second half (no tries were scored in the first half). England scored the only try of the game against France in the second half. It was not converted. France scored the first try against Italy. It was not converted. Ireland scored the first converted try against France and lost. England did not convert the only try of the game against France. France scored the first try against Italy and lost. Ireland scored the first converted try against Wales and lost. The team scoring more tries won nine out of the fifteen games played. Ireland and Italy scored one try each (Round 1). Ireland scored more tries than France and lost (Round 2). Wales and Italy scored two tries each (Round 3). France scored more tries than Italy and lost (Round 4). Wales and Ireland scored one try each (Round 4). England and Scotland scored one try each (Round 4). The teams scoring more converted tries won ten out of fifteen games. Ireland scored two converted tries against France (one converted try) but lost the game. No converted try scored in the England v France game. All teams scored one converted try each in Round 4. England (9 penalties and 0 free kicks conceded) defeated Wales (9 penalties and 2 free kicks conceded). Ireland (13 penalties and 3 free kicks conceded) defeated Italy (5 penalties and 5 free kicks conceded). France (7 penalties and 1 free kick conceded) defeated Scotland (9 penalties and 3 free kicks conceded). England (18 penalties and 0 free kicks conceded) defeated Italy (14 penalties and 1 free kick conceded). Wales (12 penalties and 2 free kicks conceded) defeated Scotland (9 penalties and 3 free kicks conceded). France (8 penalties and 2 free kicks conceded) defeated Ireland (9 penalties and 0 free kicks conceded). England (7 penalties and 1 free kick conceded) defeated France (8 penalties and 5 free kicks conceded). Wales (15 penalties and 0 free kicks conceded) defeated Italy (5 penalties and 2 free kicks conceded). Ireland (12 penalties and 0 free kicks conceded) defeated Scotland (4 penalties and 0 free kicks conceded). Italy (8 penalties and 1 free kick conceded) defeated France (11 penalties and 2 free kicks conceded). Wales (10 penalties and 1 free kick conceded) defeated Irealnd (8 penalties and 3 free kicks conceded). England (9 penalties and 0 free kicks conceded) defeated Scotland (10 penalties and 3 free kicks conceded). Scotland (14 penalties and 0 free kicks conceded) defeated Italy (9 penalties and 0 free kicks conceded). Ireland (6 penalties and 2 free kicks conceded) defeated England (9 penalties and 0 free kicks conceded). France (12 penalties and 1 free kick conceded) defeated Wales (13 penalties and 0 free kicks conceded). The higher IRB ranked team scores the first converted try is leading at half time and wins (England v Wales, France v Scotland, England v Italy, Wales v Italy, Ireland v Scotland). The higher IRB ranked team scores the first converted try is leading at half time and loses (Ireland v France, Ireland v Wales). The higher IRB ranked team scores the first try is leading at half time and wins (France v Wales). The higher IRB ranked team scores the first try is leading at half time and loses (France v Italy). There are no tries in the first half, a higher IRB ranked team scores the first converted try and wins (Ireland v Italy). There are no tries in the first half, a higher IRB ranked team scores the first try and wins (England v France, England v Scotland). The lower IRB ranked team scores the first converted try is leading at half time and wins (Wales v Scotland). The lower IRB ranked team scores the first try, is leading at half time and wins (Ireland v England). The lower IRB ranked team scores the first try, is leading at half time and loses (Italy v Scotland). 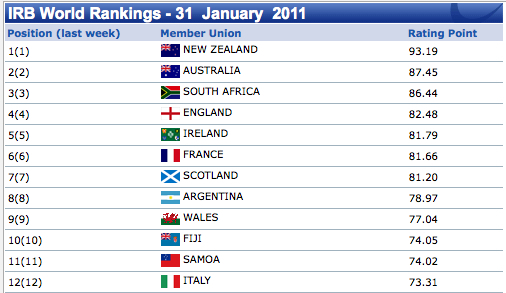 Categories: Performance Analysis, Sport | Tags: 2011, England, France, IRB Ranking, Ireland, Italy, Rugby Union, Scotland, Six Nations Tournament, UCNISS, Wales, Winning Performance | Permalink. This is a post to celebrate the life of a remarkable woman. Vivien Jones passed away on 26 December 2010 after an incredible battle against illness. I am hoping I have enough hyperbole to acknowledge and revere Vivien. I first met Vivien in the late 1970s at St Mary’s College in Strawberry Hill. My wife Sue had known Vivien for much longer. I got off on the wrong foot at our first meeting when I called Vivien ‘Viv’. It was made very clear that Vivien was the proper greeting. Thereafter I worked with Vivien and was in awe of what she achieved as a mum, a lacrosse player and as a cherished friend. 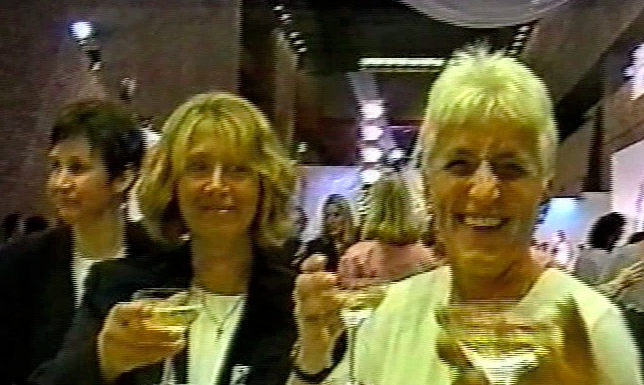 In the early 80s I acted as an occasional child minder for Sara and Nicola when Vivien attended the Centre of Excellence organised by my wife Sue. Sue and I last met Vivien in October 2010. We stayed with Vivien at her beautiful home in Hampton. Typical of her she gave up her own room for us. We timed our visit to coincide with the Southern Clubs and Colleges Tournament and on a very wet day I was amazed at her energy in supporting Centaurs. To my absolute delight I watched her march on to the pitch at the end of full time to galvanise the team for the golden goal extra time. I wondered then as I had done for almost 30 years how one person could have and share so much passion. I do know that she has proved to be an inspiration for me through all that time. 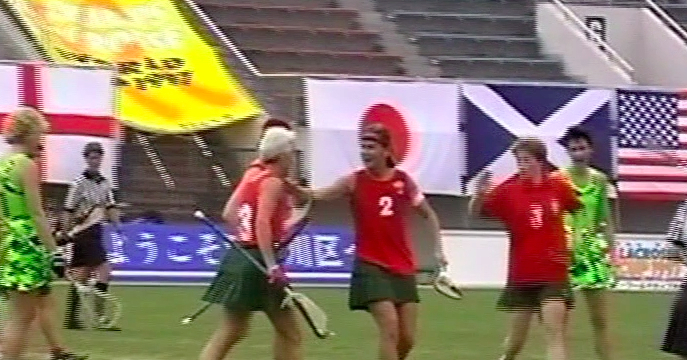 In 1997 I had the special opportunity to work with Vivien at the Fifth Women’s Lacrosse World Cup in Tokyo. During the preparation for the tournament and in the tournament I had the enormous privilege of working closely with her. What I learned from her during that time I have used in my professional and personal life in ways that I hope she would appreciate. 1997 is linked to 1993. I was at the World Cup in Edinburgh and was videoing the tournament for the Welsh team. On a very, very wet day through a very misty viewfinder I saw Vivien attack in the final minutes against Canada. Her shot at goal was from a long way out but as ever was profoundly astute. The shot hit the crossbar exactly in the middle and could have gone either into the goal to win the game or out to await another opportunity. The ball hit the bar with enormous force and rained a shower of water on the Canadian goalkeeper. The ball spiraled twenty feet into the air with the goal shuddering. I felt that if the bar had not been in the way the ball would have kept travelling from Heriot Watt to Princes Street. In 1997 I reminded Vivien about that moment and saw it as the bond that tied us to perform in 1997. I would go anywhere to support someone who when they were absolutely exhausted in the most wretched of conditions would front up driven by energy that very few people in the world of sport possess. 1997 turned out to be a most wonderful tournament for Wales. Vivien was at the heart and soul of that success. What I find really wonderful is that the friendships and love forged there in Tokyo continue to the present. The team had its thirteenth reunion in 2010 and typically the number 13 player in the squad was at the heart of the fun and memories. Vivien will be missed profoundly. Her joy of life, her unequivocal friendship, her love of her daughters and a once in a lifetime resilience are very special legacies. She did not go gentle into that good night, her raging against the dying of the light has taught me even more than I imagined possible. I send my love and sincerest wishes to Vivien’s daughters Sara and Nicola, to John and Vivien’s family. Vivien will be with us all as long as we have memories and stories to tell. The Guardian published an obituary for Vivien on 23 January. Gill Phillips wrote a very sensitive account of Vivien’s remarkable life. Categories: Coaching, Performance, Play, Sport | Tags: Gill Phillips, Guardian, obituary, UCNISS, Vivien Jones, Wales, Women's Lacrosse | Permalink. Shortly after the Welsh Rugby Union’s tour of Australia in 1996, the Union held a coaching conference on the theme of The Game We Have The Game We Want. I presented a short item on The Physical Demands of the New Game based on my analysis of the Australian tour and other work as a performance analyst. The presentation came at the end of a first season of professional rugby union. I thought this might be an interesting post for my first historical piece about the analysis of rugby union performance. 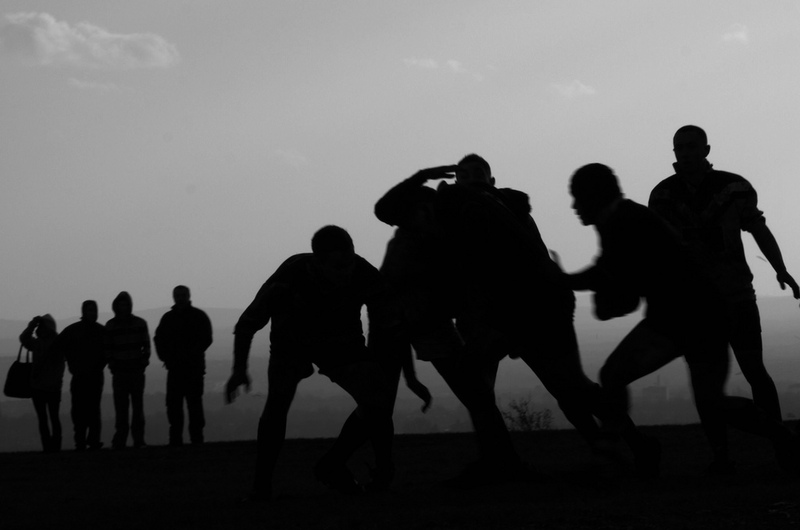 It was written to encourage a move from a Euro-centric view of rugby to global reach. How can we identify the physical demands of the new game that count rather than identifying the physical demands we can count? After careful observation of the world game of rugby since 1980 I do believe there is a new game of rugby available to us. It has been developed in the Southern Hemisphere and has emerged within the last year. The new game has an organic unity of player, coach, referee and administrator. I indicated that the ‘New Game’ has physical, psychological, technical and tactical dimensions that must be integrated in performance. In the talk I focussed on the physical dimensions. Wales won by 40 points and made 143 tackles. I noted the mobilisation of the game in the second half and the demands continuity would make with 40 minutes + ball in play time. Two games on the WRU tour of Australia in 1996 exceeded 40 minutes ball in play: this game v NSW Country and the opening game of the tour against Western Australia. There is a New Game available to us. It can be played in all conditions. It is one hell of a challenge. Categories: Coaching, Sport | Tags: 1996, Analysing Rugby Union Performance, Australia, Ball in Play, Continuity, Jim Grady, New Game, New Zealand, Wales | Permalink.